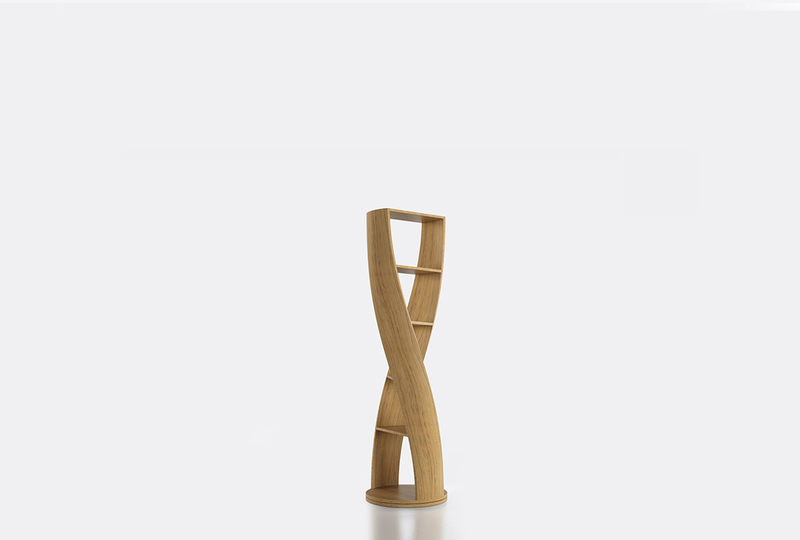 Cylindrical shelf from the collection MYDNA by Joel Escalona, with four shelves and a swivel base. Made of wood and heavy-duty fibers. Finished in natural wood or semi-gloss lacquer. Mini MYDNA / Ø40 x H124 cm / Ø16'' x H49"
Woods / Zebrano, Oak, Black wood, Walnut, Grey Oak & Teak.